The popular Twitch streamer got to test out some characters for Respawn Entertainment. 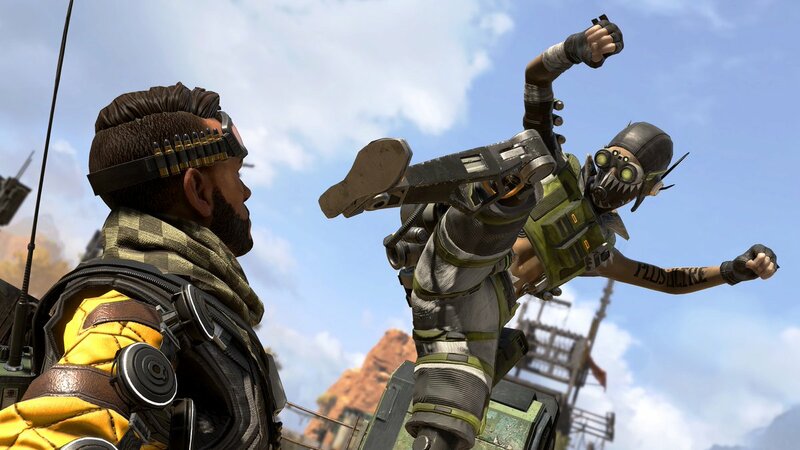 Apex Legends‘ Battle Pass is finally dropping after many weeks of speculation. Season one is also releasing, and with it so is the newest character to the game, Octane. We are, however, finding out more and more information about him as we approach the launch date of the legend. Popular Twitch personality, Michael “Shroud” Grzesiek, revealed on stream that he was actually a playtester for Apex Legends a year ago. He explained that Octane was already playable when he tested out the game and that he loved the character. He did mention, however, that he thought Octane was too fast in his previous form, so Respawn might have changed his speed for his final release. For context, Octane’s leaked Tactical Ability is Adrenaline Junkie, which apparently gives him 30 percent faster movement speed for six seconds at the cost of 10 percent of his health. Respawn might have had to tweak the numbers around this ability to balance it with the rest of the legends. Wattson and Octane to release in season one? Shroud also spoke on another rumored character to be joining the Apex Legends roster, Wattson. He said that Octane and Wattson were the only two newer characters that they could playtest because Respawn “already knew that Wattson and Octane were going to be the season one launches.” He also revealed that Respawn had plenty of other legends for testing, but they limited them down to the current roster, plus Octane and Wattson. It should be interesting to see whether or not Wattson will be releasing during season one, which will last for three months. The next season is set to begin in June 2019, according to the leaked year one roadmap. You can try Octane out for yourself when he hops into King’s Canyon on Tuesday, March 19.